Kellogg Community College’s men’s basketball team won its latest away game 87-76 over Rochester College’s JV team on Tuesday in Rochester. Leading the Bruins on the court were sophomore Tishaun Cooper, who had 27 points; sophomore Davian Phillips, who had 17 points; freshman Brandon Bellamy, who had 16 points; and freshman Dom Gibson, who had 9 points. Head Men’s Basketball Coach Gary Sprague said the men overcame poor shooting and an overall lackluster first half to record their 3rd consecutive win. The recent win brings the Bruins’ overall record for the season so far to 3-1. 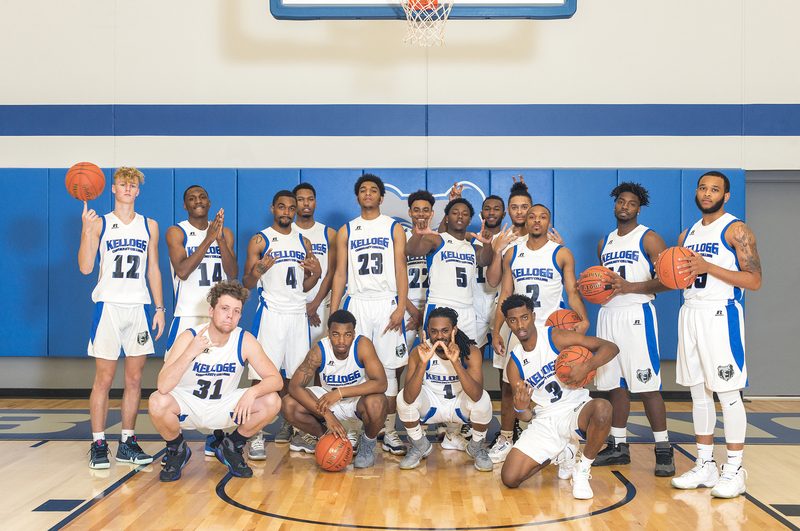 The Bruins’ next home game starts at 7:30 p.m. Thursday, Nov. 29, against Olivet College’s JV team in the Miller Gym.